Arteries are blood vessels that help carry oxygen-rich blood throughout the body. They go to the brain as well as the tips of the toes. Healthy arteries are said to have smoother inner walls and blood flows through them quite easily. There are some people who develop clogged arteries, however. Clogged arteries have resulted from a build-up of a substance commonly known as plaque on the inner walls of arteries. 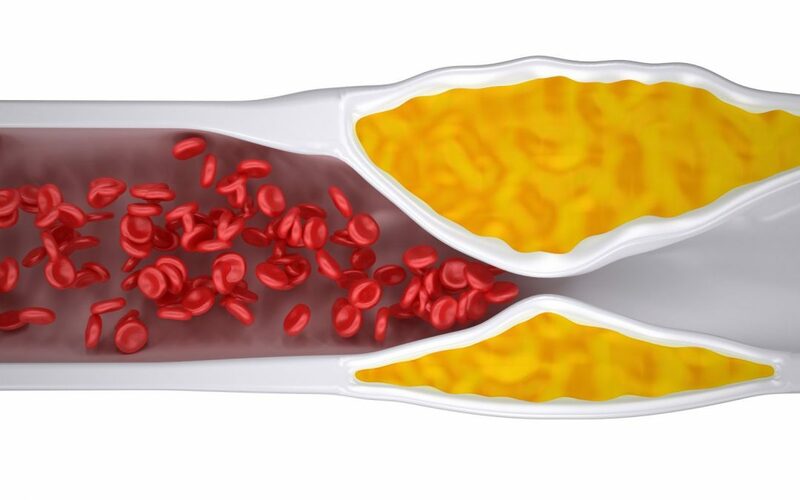 Arterial plaque can reduce the blood flow or in many common instances can block it altogether. Eventually, the decreased blood flow may result in causing chest pain or angina, shortness of breath, other coronary artery diseases and symptoms. A complete blockage will eventually cause a heart attack. Coronary artery diseases often develop over decades and you might not notice a problem until you have a significant blockage or a heart attack. There’s plenty you can do to prevent and to treat artery diseases. Maintaining a healthy lifestyle can also make a big impact. Sometimes coronary artery disease develops without any classic risk factors. 1) Chest Pain(Angina): You will feel pressure or tightness in the heart as if someone is standing on your chest. The pain is commonly referred to as angina and usually occurs in the middle or the left side of your chest. This is generally triggered by physical or emotional stress. The pain generally goes away within some time after you stop the stressful activity. In some people mostly women, pain can be felt which is fleeting or a sharp pain in the neck, arm or back. 2) Shortness of breath: If your heart cannot pump enough blood to meet your body’s needs, you may develop shortness of breath or extreme fatigue due to exertion. 3) Heart attack: A completely blocked coronary artery will cause a heart attack. The classic signs and symptoms of a heart attack include a crushing pressure in the chest and pain in your shoulder or arm accompanied by shortness of breath and sweating. Women are more likely to experience to experience less typical signs and symptoms of a heart attack such as neck or jaw pain. Sometimes a heart attack can occur without any apparent signs or symptoms. Are there any alternatives to cure coronary heart diseases? If you suspect of having a heart attack or have symptoms of the same or have a history of failed surgeries before; you can opt for alternate non-invasive procedures such as Chelation, EECP etc. These therapies are found to reduce the incidence of heart attacks, deaths, hospitalizations for chest pain, artery-opening procedures etc. If you have any risk factors for coronary artery disease such as high blood pressure, cholesterol, tobacco use, diabetes, a strong family history or obesity then talk to your doctor. Dr Sivabalan may want to test you for the condition, especially if you have any signs, symptoms or narrowed arteries. Also maintaining the same lifestyle habits to treat coronary artery diseases can help prevent it from developing and leading a proper and healthy lifestyle can help your arteries be strong and devoid of plaque.